Thickness Of Quartz Countertops: How Thick Should It Be? Quartz countertops have become increasingly popular among households these days. This is because they are sleek-looking, durable, and adds that extra “oomph” to anyone’s humble abode. In relation to this, shopping for a new quartz countertop may be at the top of your list at the moment. But have you considered every important aspect when choosing the quartz countertop that you want aside from its color, design, and size? So how thick should quartz countertops be? Here are the ideal sizes based on how you want to install them in your home and the aesthetics that you prefer. Because of the contemporary feel that they give to any household’s kitchen, 1-1.2-cm and 2-cm quartz countertops have become assets in modern homes. Even in home design magazines, you can see how often ultra-thin and thin quartz worktops are used. More than this, this kind of quartz countertop is usually easy to install as it can be directly placed over the exposed webbing of kitchen cabinets and do not require an adhesive such as full mortar bed or continuous substrate. They are also quick to fabricate which leads to a shorter wait time than you would with a thicker quartz countertop. Most of all, the ultimate selling point of ultra-thin and thin quartz countertops is their affordable price compared to thicker ones. Meanwhile, the lack of thickness of 1-1.2-cm and 2-cm quartz worktops exposes them to several disadvantages, like the need for additional support. Even if they don’t need adhesive, they still need plywood support on top of kitchen cabinets and when there are overhangs, you also need to provide them with additional support. In addition, because this kind of countertop is ultra-thin, it is generally very fragile, but some do include a proprietary reinforcement to steer clear from breakage. The industry standards for countertops usually lean towards 3-cm natural stone. Whether you own a quartz or granite countertop, the thicker ones are considered the classics. In terms of design, quartz countertop thickness definitely makes a difference. While thinner slabs give a sleeker and more minimalist look to kitchen countertops, thicker quartz worktops offer a more luxurious, intricate touch to kitchens. 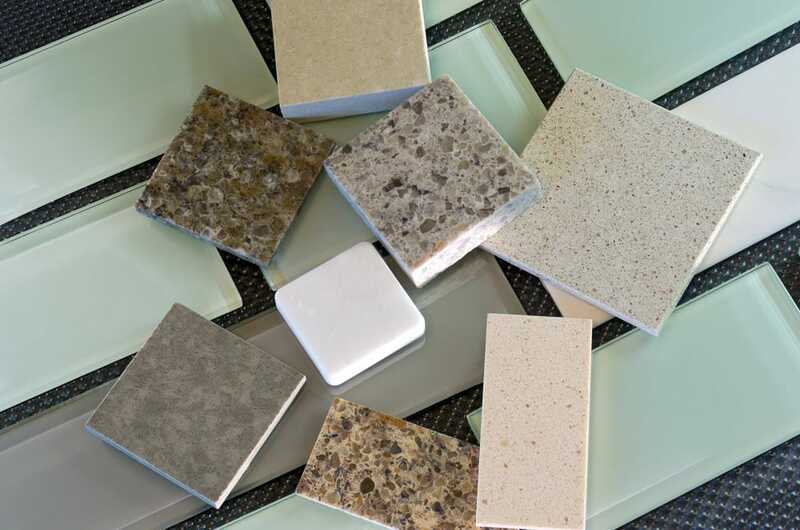 Like any classic design piece, 3-cm quartz countertops are priced higher than thinner ones. However, the premium price is not only because of aesthetics, but it is also because they provide more long-term benefits. Compared to the 1-1.2-cm quartz worktops, 3-cm countertops have greater durability and are more convenient to install. They are less susceptible to damage due to their thicker nature and do not require plywood support like their thinner counterparts. Moreover, quartz countertop thickness provides greater overall value towards your kitchen counters. The thicker your quartz worktops are, the less seams will be exposed. This gives a more solid edge look to your countertops and at the same time, you can maximize its usage as they will be more long-lasting and more durable. How to Choose Quartz Countertop Thickness? To determine which thickness of quartz countertop will most fit you, here is a summary of the aspects that you can consider. Thicker quartz countertops are always stronger than thinner ones and as a result, they can support more weight. If you are planning to install a breakfast bar in your kitchen, using this kind would be better. Otherwise, you would have to add more support, such as brackets, to prevent the overhang from cracks and other damages. However, if you intend to use the quartz slab in areas of the kitchen where there is not a lot of activity, thinner quartz worktops will be fine. Just because 3-cm countertops are classics and more expensive, it does not mean that they are always better. You have to take into consideration the kind of weight that your home can carry. For example, older homes are more prone to wear and tear, which is why it is not advisable to install too much thicker quartz countertops all over the place. In this case, opting for thinner ones will be better. When talking about costs, less is always better. In terms of the material, there is no denying that thicker countertops will definitely be more expensive. The same goes with the cost to transport them. On the other hand, thinner countertops are cheaper when you buy them and they are also less expensive to transport. However, since they tend to be fragile, extra care is required which can add up to your handling costs. Aside from this, you also need to buy and install extra support materials if you are going to opt for thinner quartz countertops. Again, cost-wise, it is up to you to decide which you prefer to spend on and this is also reliant on how you intend to use the quartz countertop that you will buy. Whatever quartz countertop thickness you choose, you should always consider one very important thing – the quality of your quartz countertop. 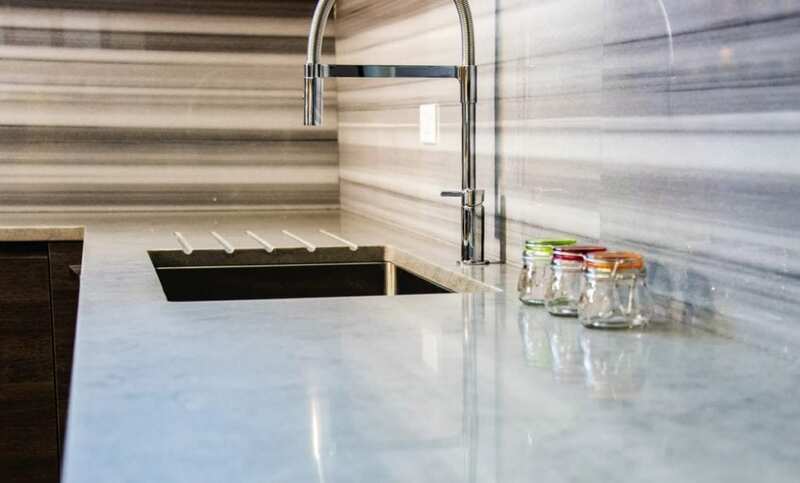 At Granite Selection, we will make sure that only the best quartz countertops will be made and installed for either your kitchen or bathroom needs. Give us a call at (888) 906 3317 and we’ll be happy to assist you!